Theaters in Lancaster Pennsylvania - Update, September 2011. September 2011 - EXTENDED STAY!!! Three or more night reservations, 15% Discount. New Reservations only. October 2011 - CHRISTMAS IS NEAR!! With every reservation of three or more nights, receive admission to the National Christmas Center. $24.00 Value!! One of only eight theaters designated as a National Historic Landmark, the Fulton Opera House has earned a reputation for high quality performances. Having a major $9.5 millon renovation in 1995, the original Victorian elegance was reestablished along with technical improvements and expansions. The Fulton Theater starts the 2011-2012 season in September with the production of 'The All Night Strut!'. Additional shows include: Gaslight, Hairspray, God of Carnage, Sunset Blvd, August: Osage County, Miss Saigon. Make plans to see them all, you will not be disappointed. The American Music Theater is unique in that it is the only theater in the country that features both touring and original concerts and productions. The 1600 seat theater hosts over 300 live performances each year. There is something for everyone: country, rock, doo wop, comedy and their own original song and dance performances. Pick your favorites and don't forget to make reservations for their original productions which this year include: Dance Explosion and the Christmas Show. In the year 2012, the shows also include: Country Classics and American Icons. You still have a chance this year to see: Vince Gill, Dennis Miller, Celtic Thunder, Steve Miller Band, Bobby Vinton, and Willie Nelson. All comedy... all the time, with a great cast of talented actors. The Rainbow Dinner Theater started in Strasburg, PA in 1984 at the Historic Strasburg Inn. Eventually moving to the Revere Tavern, they now have their own theater right next door, conveniently located in Pardise, PA right on Lincoln Hwy. The coming shows this year include: John Loves Mary, Home for the Holidays. In 2012 the show schedule includes: Let's Murder Marsha, The Dixie Swim Club, Things My Mother Taught Me, Unnecessary Farce, Christmas in Paradise. Now in it's 24th year, The Dutch Apple Dinner Theater has been providing high quality productions, along with award winning meals, in its 380 seat theater. The Prather family has been in the entertainment business for over 45 years with over 150,000 guests enjoying their productions annually. 2011 still has several shows that include: I Love A Piano, Me & My Girl, and Miracle on 34th Street. The 2012 season features: A Closer Walk with Patsy Cline, 24th Annual Putnam County Spelling Bee, 9 to 5 The Musical, Irving Berlin's Annie Get Your Gun, Legally Blond The Musical, Gershwin's Crazy for You, A Second Helping; Church Basement Ladies 2 Sequel, A Swingin Christmas. 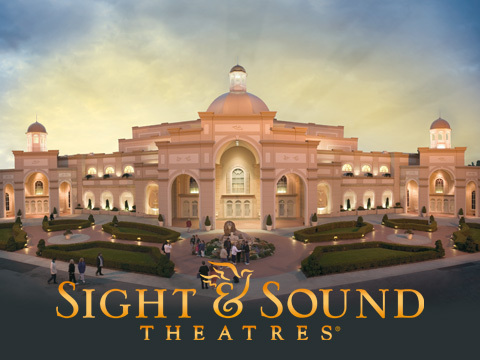 Each year about 800,000 people attend one of the Sight & Sound Theaters in either Lancaster PA or Branson MI. The spectactular productions incorporate live animals with some walking right down the aisles. Back stage tours are a favorite of many patrons. There is still time to visit and see the old Testiment story 'Joseph' before the 'Miracle of Christmas' starts in November. In March of 2012 they will have their premier of the story 'Jonah'. You will want to make your reservations early so you won't miss some of your favorite shows. After experiencing a really dry spell we are now getting rain again,,, a much needed rain. The grass has turned mostly green again and many of the fall plants are starting to display their colors. The butterlies are still enjoying the Butterfly Bushes and guests have been amused at Patches attempting to catch a few butterlies. We are having great weather in Lancaster, the temperatures have cooled a little bit and our busy October will be here very shortly, with fall colors and harvest time festivities. Special Value!! For those of you reading this newsletter I am offering another special for reservations from September 6th through the 15th. Any room available, minimum of two nights, 20% discount, applies only to new reservations, no other discounts allowed, no gift cards, must mention this discount at time of making reservation. I hope to see you all very soon, Summer is nearly over, come and enjoy!!!! !